Ready to buy a house? From building equity to painting the walls whatever color you want to simply feeling the pride of having your own space, home ownership comes with many perks. On the other hand, getting your credit ready to buy a house is a necessary but tedious part of finding the home of your dreams. The process of buying a house can be hectic and anything but liberating if you aren’t prepared. If your credit score is low, you’re looking at a difficult approval process and a higher interest rate if you do qualify for a mortgage. Do not underestimate the significance of a high interest rate when it comes time to buy a house. It can cause you to pay thousands extra over the life of the mortgage. 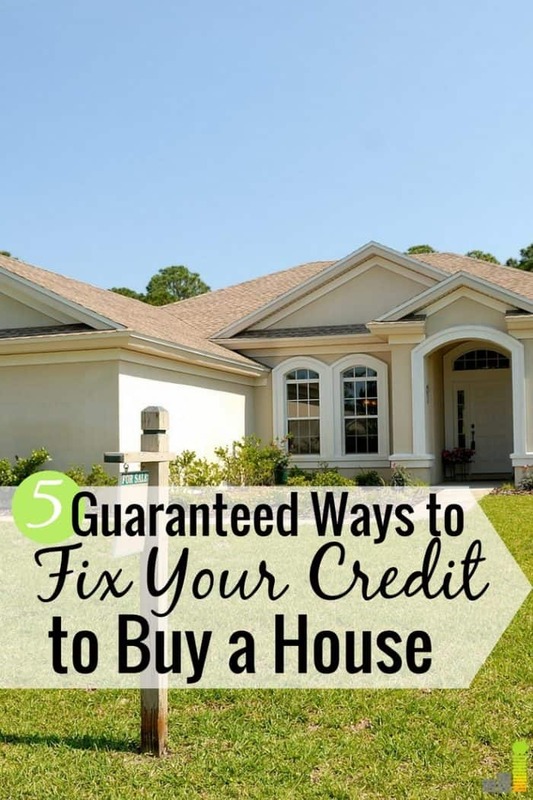 You want your credit to be in top shape before you consider getting a mortgage. 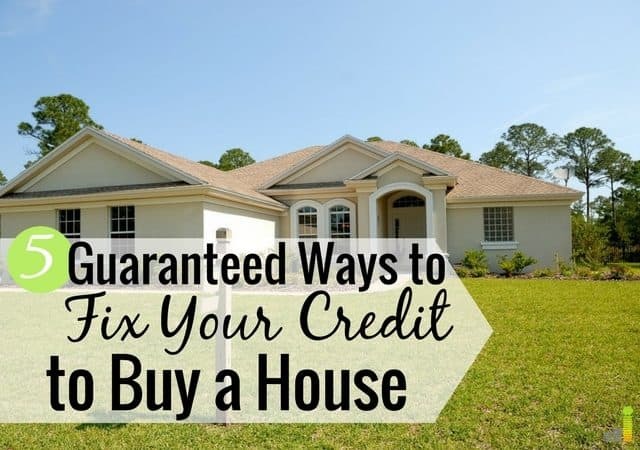 Here’s how you can get your credit ready to buy a house. Everyone has to start somewhere. When it comes to fixing your credit to buy a house, you must start by checking your credit score and reviewing your report in full. The best part is that you don’t have to spend any money to do this! There are a few ways you can check your credit score for free. Sites like Credit Sesame and Credit Karma give you access to your Vantage credit score at no cost. Have credit cards? Many banks provide a free monthly credit score that you can access online. If you want to access your full credit report, head to AnnualCreditReport.com where, once a year, you can get a free copy of your credit report from each of the three reporting agencies. You want to look for potential errors and confirm how many accounts you have and their status (ex., open, closed, delinquent). If you see any errors, you need to dispute those. If you see something wrong on your credit report, like a paid off account not showing as paid, you want to dispute the inaccuracies as soon as possible. Not only can it have a negative impact on your score but it can cause issues when applying for a mortgage. You need to file a dispute with the credit reporting agency that is listing the incorrect information. In most cases the agency will require disputes to be sent by mail. Make sure to verify the information they require to rectify the inaccuracy as well as the agency’s mailing address. Send your letter by certified mail so you can confirm when the credit reporting agency receives it. They are required to respond in 30 days are less. Also, keep copies for your own reference. If your credit score is low because you have poor payment history on old debts, address these debts as soon as you can. Try to pay them off in full or make monthly payments and add in a little extra when you can. If you have maxed out credit cards, you want to pay them down and keep your overall utilization below 30 percent. Actively using more than 30 percent of your available credit makes you a risk in the eyes of the mortgage lender, making it more difficult to get a loan. Lenders like to see that you’ve established some type of credit but they don’t want to see that you can’t afford to make payments on your debt. It makes you seem like an unreliable or risky borrower. The credit score needed to buy a house varies based on the type of mortgage you apply for so it pays to keep your utilization ratio as low as possible. Also, if you have bills in your name, be sure to pay them on time. Paying utility bills or your phone bill on time won’t necessarily help your credit but not paying can hurt your credit. Mortgage lenders like to see a nice mix of accounts on your credit profile. This doesn’t mean you should accrue a ton of personal loan debt. But it may help to have a credit card or two that you use responsibly along with your student loans or car loan. Due to high interest rates, it’s wise to pay your credit card balance off in full each month. However, you want to leave the account open if possible so your positive payment history can increase your credit score. Plus it shows lenders that you’ve managed smaller accounts wisely, making you more attractive for a large loan like a mortgage. Lenders also want to see that you have money saved in the event of an emergency. In fact, this is just as important as having a mix of different account types. Not having cash saved makes you a risk in their eyes, making it more difficult to get the mortgage. Online savings accounts such as CIT Bank are great options (CIT currently pays 1.55 percent and only requires a $100 deposit) for automating savings and building a cash cushion. You can’t change the past when it comes to previous credit failures. What you can do is start building a better credit history for yourself. If your score is low, you may qualify for a secured credit card. Secured credit cards are intended to help you build your credit since the issuing company reports payment history to all three major credit bureaus. If you need a secured credit card, you probably wouldn’t qualify for a regular credit card or personal loan due to bad credit. Given that, application requirements for secured credit cards are typically lenient. Here are some secured credit cards you may want to consider if you need to go this route. It is important that you get on a budget you can stick to and only use your credit card to cover regular, small purchases. For example, use your card only when paying for gas for your car or a small monthly bill or subscription. Make sure you pay the balance off in full each month. Again, always spend less than 30 percent of your credit limit each month so if your limit is $1,500, spend no more than $450 each billing cycle. To be on the safe side, spend even less than that. Two of the most important credit-building factors are utilization and payment history. Using a credit card wisely can help you patch up both of these areas and increase your credit score as a result. Finally, be patient. Rebuilding your credit to buy a house doesn’t happen overnight. It takes a strategy and patience. Figure out your starting point and focus on building better financial habits. Avoid debt and use credit the smart way so you can qualify for a mortgage and get the house you want. What are some other things you think are important to do before you buy a house? How often do you check your credit score? What steps have you taken in the past to improve your credit?